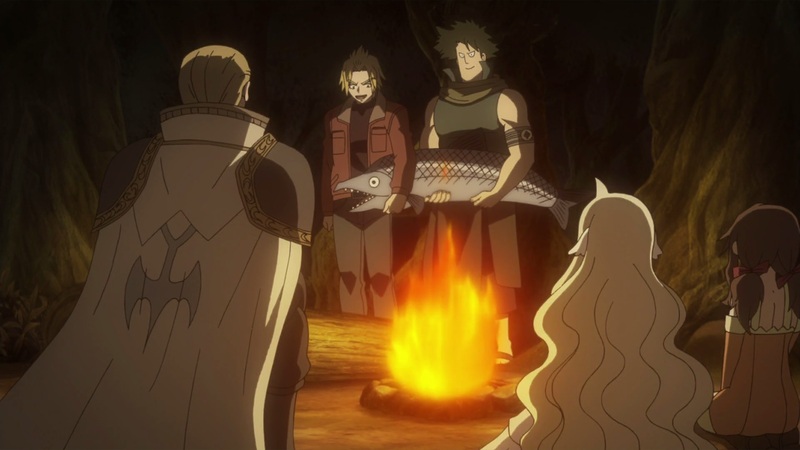 Fairy Tail 270 see’s Mavis and Zera heading towards Magnolia along with Yuri, Precht and Warrod as they land upon the jungle where they have to camp out for the night. They tell a story of the adventure Warrod, Yuri and Precht faced when they were trying to find the rainbow flower. Fairy Tail 270 begins as they get ready to camp out, they collect food and so on. Zera tries to get some fish but falls into the lake. They land upon a part of the jungle where the trees and everything has been eradicated to nothing but dead plants. They mention that it’s best for them to camp elsewhere. They’re reminded by Hell’s Valley when Yuri messed up during their mission. Warrod and Yuri fight a little when they go get food on their own. Warrod goes back to the fire and Mavis follows too. Warrod begins to tell them about the Wild Rainbow flower, they went through patch of poison when they went underground. They go in and follow through into an underground base, they find something shiny, similar to what they’re looking for. Yuri touches it but it explodes and a large monster comes out. It attacks them, Warrod and Yuri attacks it but somehow Precht knows that by disabling it’s roots, he can disable the plant. At the same time, we see Yuri take out the flower and storing it into a special structure. The whole structure they’re in begins to collapse, this is when Warrod ends his story. 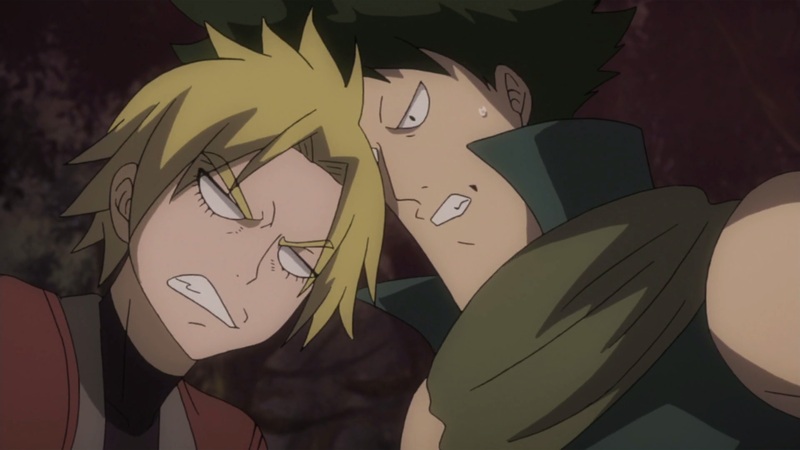 We then see Warrod and Yuri back with a large fight, they mention that they forgot about their fight before. Zera went off somewhere, Mavis followed. She tells her that she wants to learn magic so she can protect Mavis because she has always been protecting her all this time, even outside their village. Zera falls into the water and Mavis follows, she seems to have found a fairy, telling Mavis to look, when she refers to Mavis’ heart. 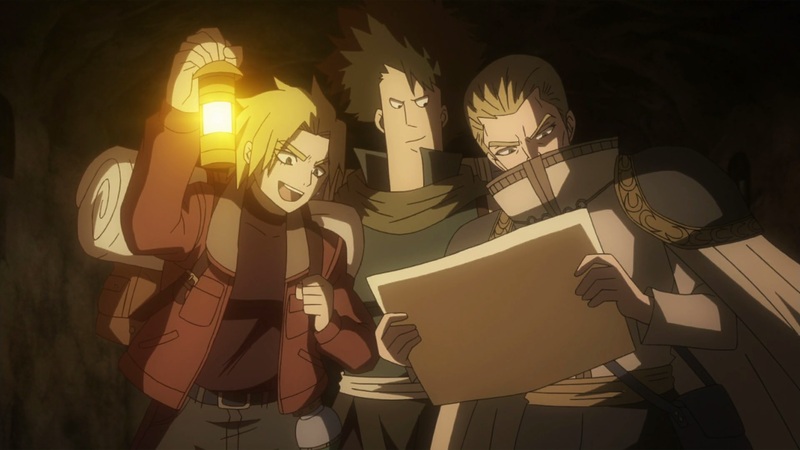 The next day we see Yuri, Warrod and Precht along with Mavis and Zera travelling into Magnolia, this is when they recognise that the village is not in best shape, and that the church is covered by a large dragon’s bones, covered in blue. Fairy Tail 270 ends here. A pretty decent episode, followed the manga for most part, except for the story (I think), nevertheless, it seems like the story will go on for around 5 to 10 more episodes. 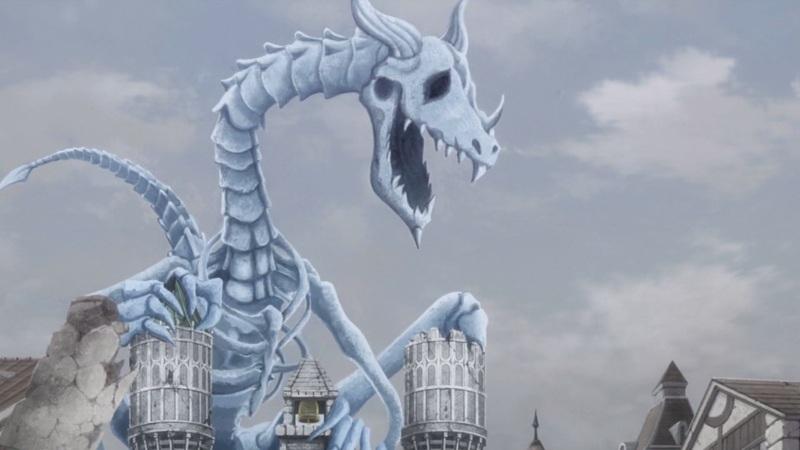 Can’t wait for next week’s Fairy Tail 271, titled “Blue Sky”, when we see more of Blue Skull.